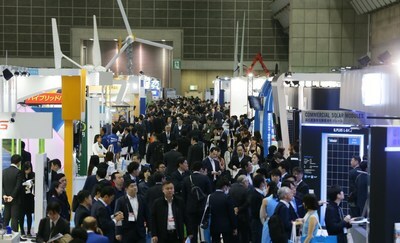 TOKYO, Feb. 10, 2019 /PRNewswire/ -- Reed Exhibitions Japan Ltd. will be holding WIND EXPO 2019 - Japan's largest wind energy exhibition & conference from Feb. 27 at Tokyo Big Sight, Japan. The highlight of this year is the field of offshore wind power which is already common in Europe. While in Asia, Taiwan is a promising market, though Japan also has considerable potential. In Japan, the revision of Port and Harbour Law in 2016 led to introduction of a system guaranteeing occupation of a port area for 20 years for offshore wind power generation. In addition, a new law was come into effect last November stipulating the rules for occupying the general sea area for 30 years. According to Japan Wind Power Association, offshore wind power projects currently under the environmental assessment procedure are expected to be 5 GW and the new bill to use the general sea area has created room for another possible 7GW. Therefore, the association considers the goal of 10 GW of offshore wind power generation by 2030 would be achievable. For instance, Japanese electric power companies and overseas power generation operators such as Ørsted are also jumping into the growing market. Offshore wind power market in Japan at the dawn will develop bright futures.